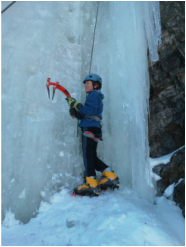 Vermont Adventure Tours offers introductory to advanced ice climbing in Central Vermont, Smugglers Notch, and Lake Willoughby, VT. Our expert, certified climbing guides provide a safe, educational, and enjoyable atmosphere to learn and climb in. 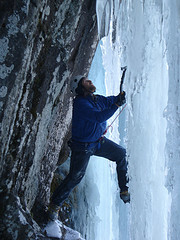 We offer both private guiding as well as group ice climbing programs. 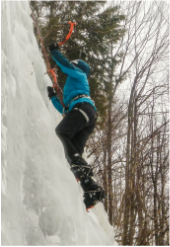 So whether you're looking for an extreme day of multi pitch ice, a fun beginner day on some slabs, or anything in between, the conditions in the Northeast offer excellent opportunities for all of our clients to get out in the field and enjoy the ice! Lake St. Catherine's, VT Ice.